Perhaps America’s perfect sandwich, and The Readers’ Poll says we do it to perfection. 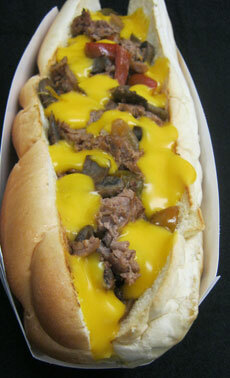 100% Angus Beef, topped w/ a choice of cheeze, married with caramelized onions, sauteed peppers & grilled mushrooms. Worth a drive from anywhere. Choose a Size: 8" or 12"